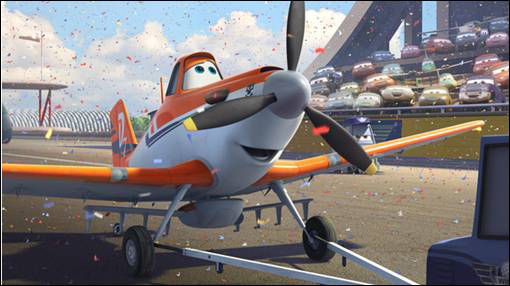 "From above the world of “Cars” comes “Disney’s Planes,” an action-packed 3D animated comedy adventure featuring Dusty (voice of Dane Cook), a plane with dreams of competing as a high-flying air racer. But Dusty’s not exactly built for racing—and he happens to be afraid of heights. So he turns to a seasoned naval aviator who helps Dusty qualify to take on the defending champ of the race circuit. Dusty’s courage is put to the ultimate test as he aims to reach heights he never dreamed possible, giving a spellbound world the inspiration to soar. “Disney’s Planes” takes off in theaters on Aug. 9, 2013." It JUST dawned on me that Dane Cook has been voice cast in the new Disney Planes movie as Dusty... the Crop Dusting plane afraid of heights. That's AWESOME! I really kind of adore Dane Cook's voice, and I'm sure it'll be epic in the movie. 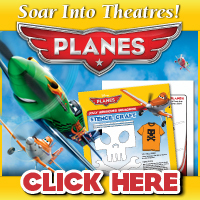 Take a look at the new Planes trailer below and make sure to follow along online. Movie comes to theaters August 9th!